Although you can call us at 724-GEM-CUTT (436-2888), you will receive a much faster response by asking your question or sending your comment through this form. We can not respond to Hotmail, or any other Micro$oft-hosted junk-drop-box e-mail. Please use a real e-mail address and provider. Will you cut my gems? I want to commission a custom gemstone. 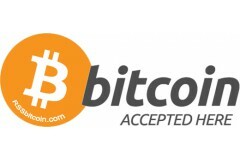 I want to purchase using BitCoin. I want you to speak at our event. I want to learn how to cut gems! I have a different question.